Four exhibitions in, and One Eyed Jacks – found in the regenerating former no man’s land of York Place – is proving itself to be a gem of a photographic gallery. The work they show is easy to get your head round, concentrating on beautiful images with a narrative core, always inviting you to add your own stories. Perfectly following photos from Bryan Schutmaat’s Blue Collar, Red Dust and Jacks’ curator Matt Henry’s own work comes a great exhibition from a new name to us, Graham Miller. 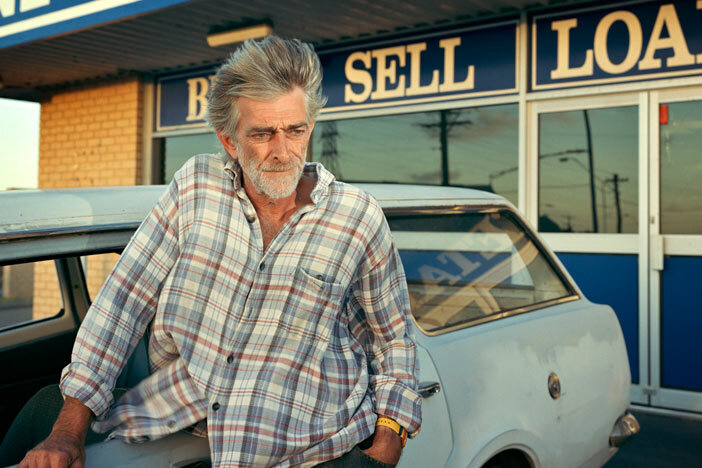 Miller’s rich, cinematic photos look American – perhaps because they mine the history of colour photography – but actually take place in his Australian homeland. Almost too perfect to be candid, they bring to mind Philip-Lorca diCorcia’s Hustlers series. Every bit as polished, but less neon, it’s more small town than big city, with nods in that direction towards Alex Soth’s Sleeping By The Mississippi. That Miller has shown alongside both of these titans of photography is testament to the quality of the work.